Katelyn Rose Ritenour of Normalville lives the dream as her star begins to rise in country music. Joined by her regular guitarist, Tyler Hough, Katelyn performs covers of songs from artists like Miranda Lambert and original songs, such as “You’re Not My Superman” and “Kiss Me”. Katelyn’s first inspirations came from her dad, who played guitar and her mother, who sang. 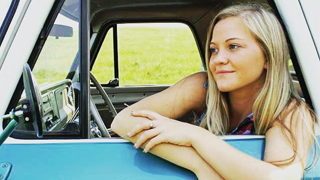 Katelyn writes songs about growing up, country life, young love and all the things that make up good, toe-tapping country music.